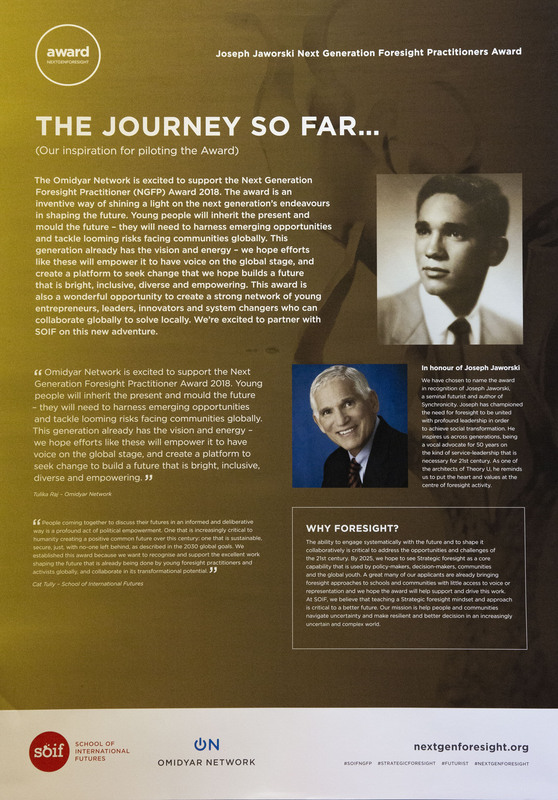 In 2018, the School of International Futures launched the Joseph Jaworski Next Generation Foresight Practitioners Award, an initiative which aims to recognise new sources of innovation, inspiration and leadership from upcoming generations and new geographies with a growing practice in foresight. 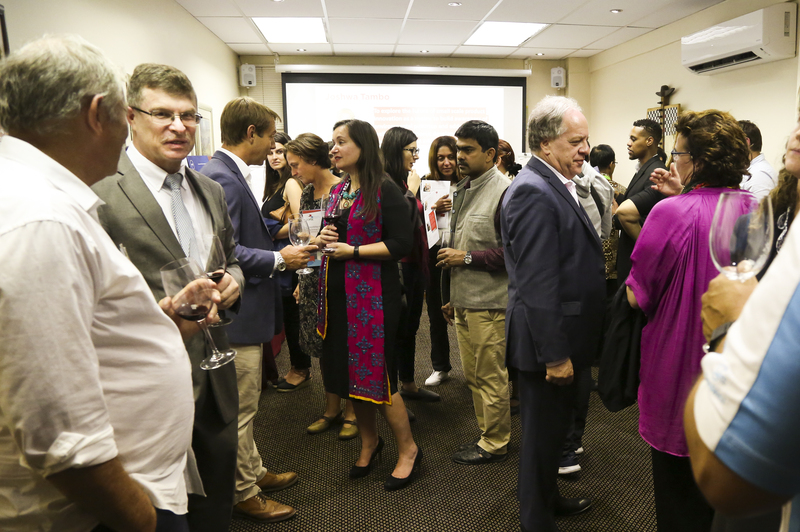 Early in January of this year, SOIF brought the Next Generation Foresight Practitioners (NGFP) initiative to Stellenbosch, South Africa. 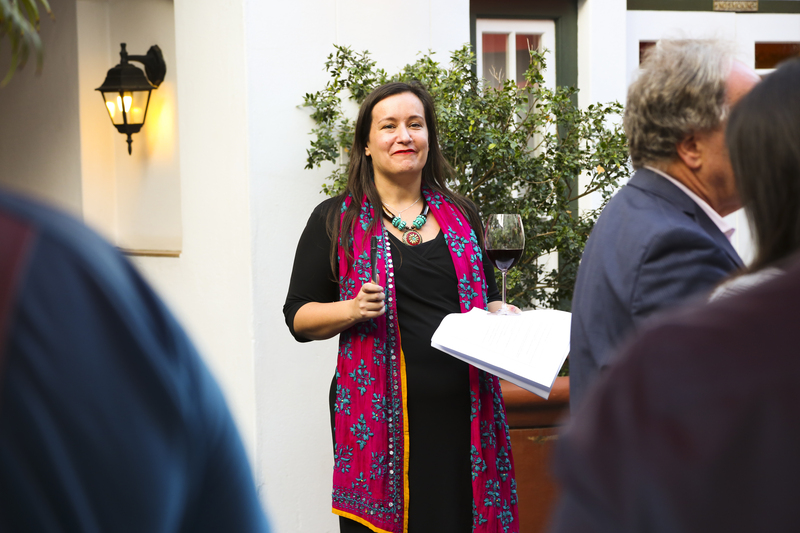 On Wednesday the 9th of January, in parallel to the conference, Cat hosted a reception at the Stellenbosch Hotel welcoming students from the Stellenbosch University, professors, academics and guests interested in strategic foresight. 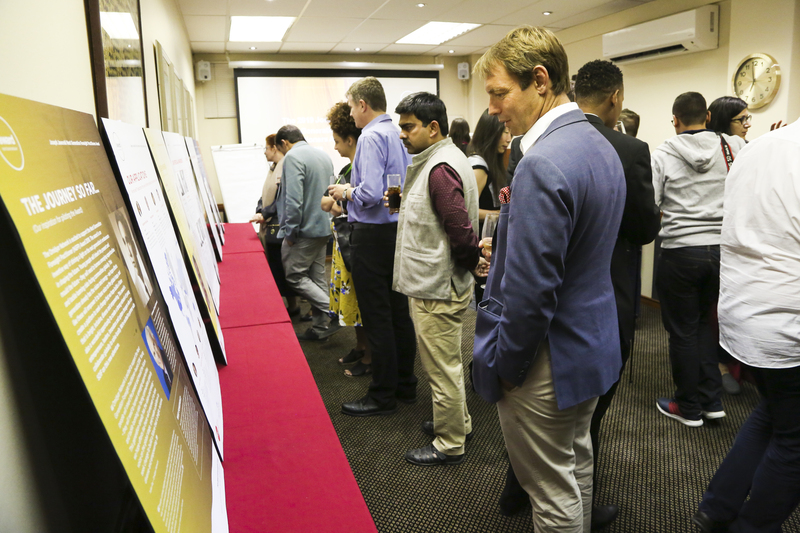 The event was an opportunity for networking, discussing strategic foresight and learning more about the NGFP 2019 awards. Our guests were invited to learn more through an informative presentation, which began by explaining SOIF’s motivation for launching the award back in 2018. Shaping the future in foresight, building a community, supporting transformation and exploring the future of foresight work in diverse disciplines were some of the motivations introduced by Cat. Drawing from her years of expertise in the field, Cat explained the definition of foresight and foresight practitioners, shared with attendants that anyone who takes a futures approach to their work to explore and understand the impacts of longer-term factors actively engages with foresight. Cat spoke about the international success of the 2018 awards, which received 78 applications from 37 different countries. 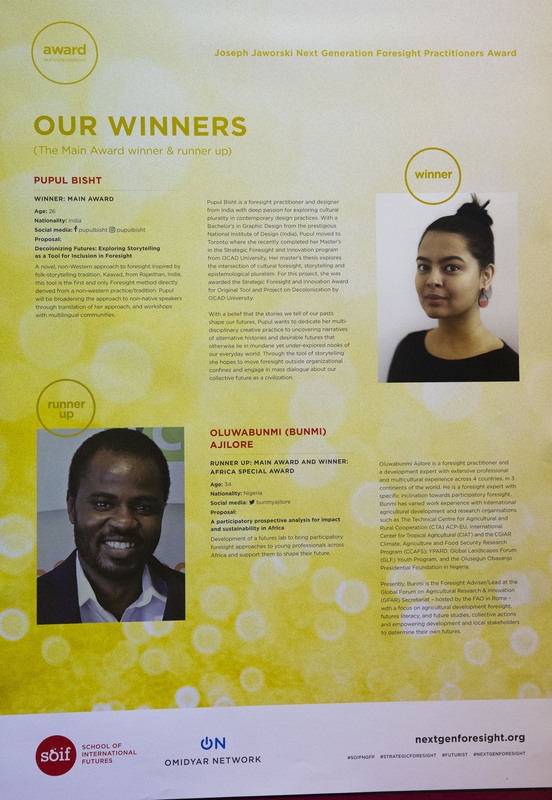 13 projects were recognised; among them, was the main winner, Pupul Bisht and the runner up, Oluwabunmi (Bunmi) Alijore. Pupul received $25K to fund her project to develop a new foresight initiative as well as mentoring and support. She and Bunmi also received a free attendance at SOIF’s Summer foresight retreat, SOIF2018. Finally, the afternoon concluded with an invitation for the attendees to think about a foresight success they would like to celebrate and a foresight challenge currently faced. Applications for the Next Generation Foresight Practitioners Award are open now. To learn more about this year’s award and the application process, visit the award’s official website or join our webinar on the 18th of February at 9:30 GMT following this link.